Join us as we toast to our Ten Year Anniversary at The Varnish! 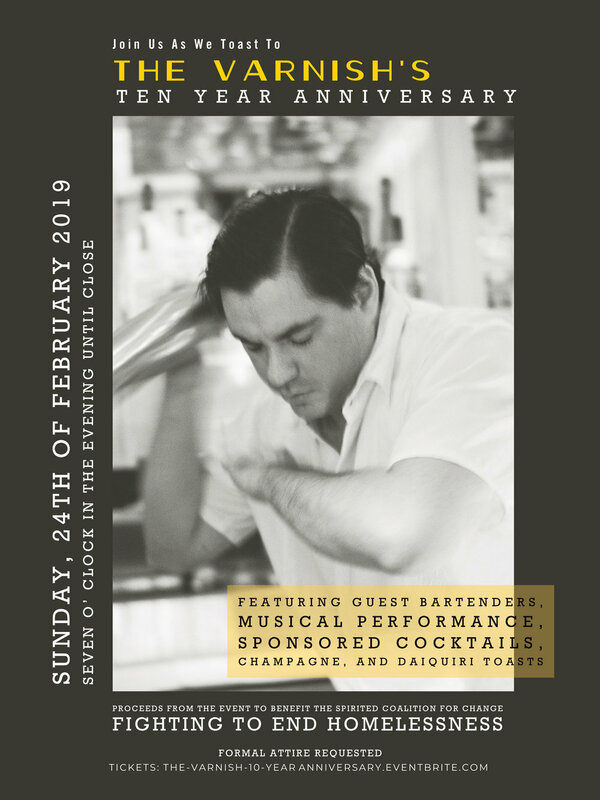 The evening will consist of guest bartenders, musical performance, sponsored cocktails, champagne, and daiquiri toasts! Proceeds from the event to benefit The Spirited Coalition For Change - Fighting To End Homelessness.